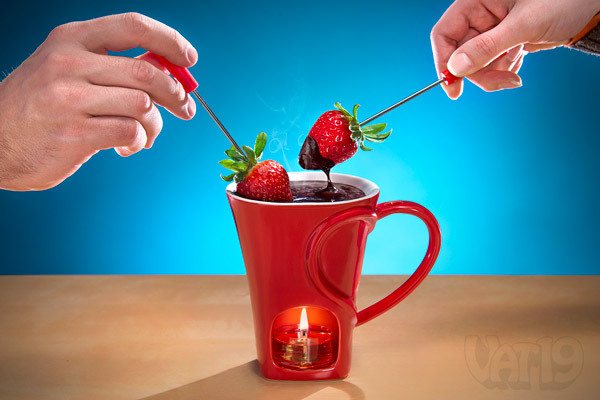 Enjoy a delicious and romantic snack with the 4-piece Sweetheart Fondue Mug Set. Add your favorite dipping sauce to the 4-ounce ceramic mug and light the included tea light candle to start the melting process. When ready, grab your sweetheart (or keep it all for yourself!) and dip your favorite snacks (such as fruits, vegetables, bread, and cake) using the two included stainless steel fondue forks. 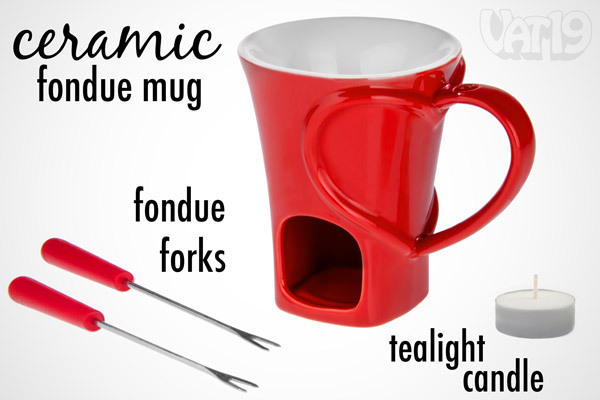 Ceramic mug and stainless steel forks are dishwasher safe; mug is also microwave safe. One tealight candle included. We think it's safe to say that Vat19 has a little bit of a sweet tooth. So, when we came across the adorable Sweetheart Fondue Set, we were immediately smitten. Simply place your dipping sauce of choice (chocolate, of course!) into the 4-ounce mug, light the included tealight candle, and start chocolatizing your favorite snacks. You and your special someone are sure to enjoy! or whatever your heart (get it?) desires with the Sweetheart Fondue Set. 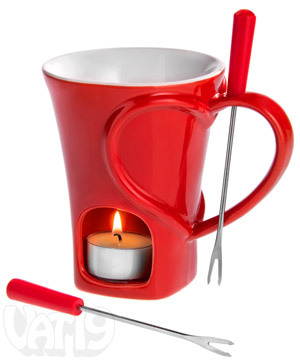 The Sweetheart Fondue Set comes with four pieces: a ceramic mug, two stainless steel dipping forks, and a warming tea light candle. To heat your dipping sauce, simply place the tealight candle in the recess underneath the mug. The Sweetheart Fondue Set includes the four pieces shown above. 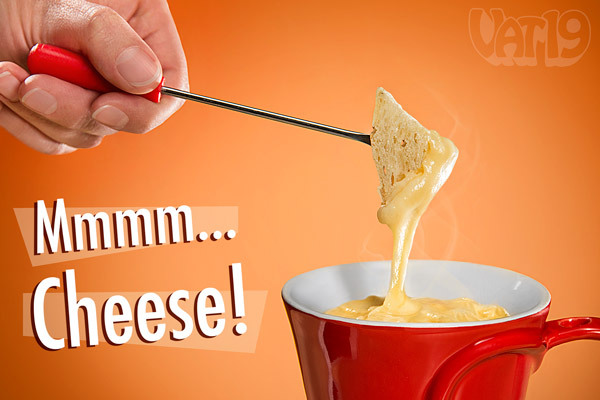 Everything also tastes better when dipped in cheese! The Sweetheart Fondue Set isn't just for chocolate. Use cheese, caramel, or strawberry syrup! Please, let your imagination run wild. Your taste buds (and your significant other) will probably send you hand-written thank you notes... written with quill and ink. Now THAT was a cross promo. Enjoy a variety of dipping sauces with the Sweetheart Fondue Set. 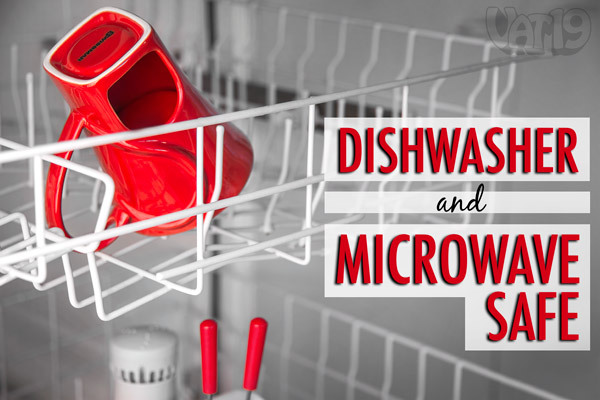 The ceramic mug as well as the stainless steel forks are dishwasher safe. You can also use the ceramic mug in the microwave. The Sweetheart Fondue Set is dishwasher safe. The mug is microwave safe as well.